First Kiss Friday with Lizzi Tremayne & a Giveaway! It’s First Kiss Friday and today’s guest is fellow Bluestocking Belle, Lizzie Tremayne. Lizzi is sharing the first kiss scene from her Contemporary novel, Once Upon a Vet School. Be sure to leave her a comment to be in the running for her giveaway. Happy reading, my lovelies, and take it away Lizzi! Once Upon a Vet School #7: Lena Takes a Foal. Did you ever want to become a veterinarian? Didn’t quite get there? Now you can live it with Once Upon a Vet School—tales of a girl who dreamed of becoming a vet… her life on the way and beyond. 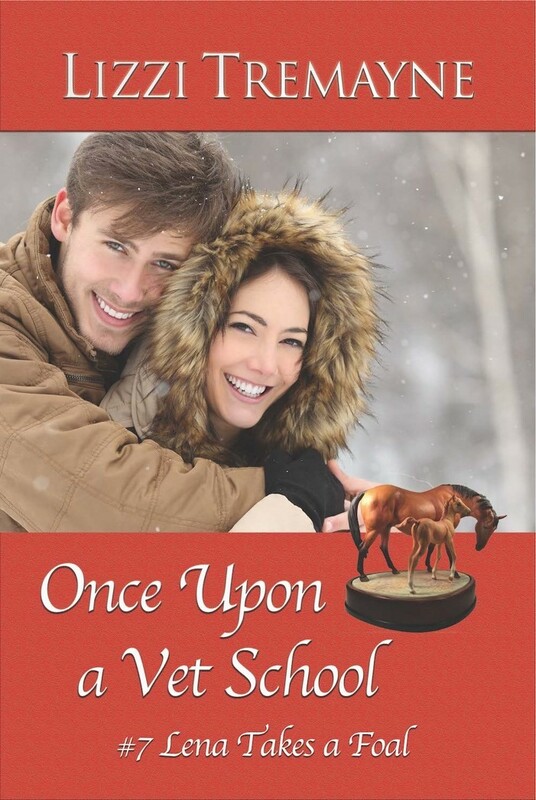 Once Upon a Vet School is a new series of contemporary veterinary fiction. 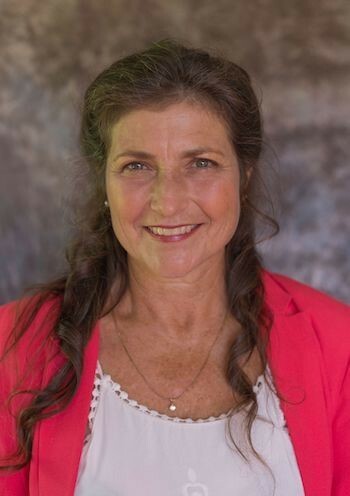 Share Lena’s escapades, and that of some of her classmates, from the time they decide to become veterinarians, through their education and practice time in the USA, to their careers, Lena’s as a rural equine and sometimes zoo-dentistry veterinarian in New Zealand. In my excerpt, life had been going from bad to worse for my heroine, Lena, and she’d finally spilled the beans to Kit, her veterinary school resident… who was also something more. He was about to become something more, anyway! I’m giving away a digital copy of Once Upon a Vet School #7: Lena Takes a Foal, Book Seven of The Once Upon a Vet School series. I stared at him, then slapped my jaw shut. “I can’t believe you’d do that. Not you,” I argued. “Same as yours,” I whispered. “Same as mine,” he agreed. “I tried to leave you alone, stay away… but…” He closed his eyes for a moment. My memory of why I shouldn’t get involved with anyone was fading fast. “You’ll be the best they’ve ever had.” He let out his breath in a snort. I tried to look away, but his eyes drew me back. “And, as others would say, and maybe they’re right, I’m too old and you’re too young,” he said, with a wistful smile. “I’m beginning to think it doesn’t matter… as much as this…” Kit turned my chin toward him with the side of his finger, then lowered his lips to mine. I could have fallen into his warm lips, his touch… and I let it happen. I returned his kiss with all the feeling I’d kept hidden for so long. “So…” I said, panting a bit, when he finally let me breathe again. “Yes,” I said. My firm tone came out as more of a breathy whisper. I gulped and the chill started up in my guts again. “— deal?” he cut in. I turned my face up to his and we kissed again. He leaned back against the wall, holding me tightly in his arms. The warmth, the closeness, the safety. I wanted it to go on forever. But nothing lasts — I stopped myself. Why not? Why not you? That blasted little voice again. I focused on Kit’s eyes. For the first time ever, no vagueness — or had it been avoidance? — showed in their depths. His green eyes were nearly black, intense, close before me. I froze as a flash of green — a figure in surgical scrubs — showed, silhouetted, in the doorway behind Kit’s head. Lena’s got a problem–one that might prevent her from graduating. When her horse flips over and lands on her, it has to be the dashing resident, Kit, who finds her. Luckily, she’s sworn off relationships after her last debacle and sea-green eyes and rugged good looks are the last things on her mind. Besides, to a veterinary school faculty, relationships between residents and students are like oil and water; they just don’t mix. Fantastic, thanks, Connie! Best wishes in the draw! So glad you love the story Jude! LOL Sherry, that TBR pile is growing! Thank you all for coming by and commenting! And, (Drumroll….) the winner of a copy of Once Upon a Vet School #7! Connie Hoffman, could you please contact me via my website lizzitremayne.com to arrange your prize!